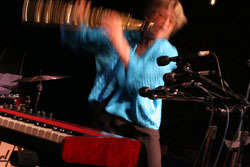 Her continuing commitment to "pushing the envelope" in her music has led to collaborations with such outstanding jazz artists as Kenny Wheeler, Charlie Haden, Ed Blackwell, Rufus Reid, Matt Wilson, Bob Brookmeyer, Julian Priester, Jerry Granelli, Billy Hart, Mark Dresser, Bobby Previte, & Fred Hersch. She's also spearheaded collaborative world music groups featuring world music virtuosi Min Xioa-Fen on Chinese pipa, South Indian veena artist Geetha Ramanathan Bennett, koto artist Miya Masaoka, Korean komungo player Jin Hi Kim, and bassist Mark Dresser. She has performed at such diverse venues as Carnegie Hall, Jazz at Lincoln Center, the Museum of Modern Art, the Kennedy Center, the United Nations, the Cathedral of St. John the Divine, the Smithsonian's Einstein Planetarium, the Montreal, JVC, and San Francisco Jazz Festivals as well as regular club engagements in NYC and tours of England, Portugal, Switzerland and Brazil with her current group. 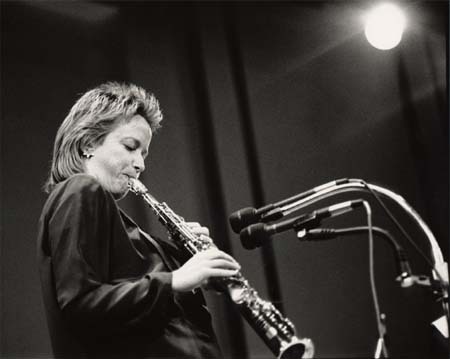 A ten time winner of the Jazz Journalists Award for soprano sax of the year, the Downbeat International Critics Poll for soprano saxophone, the Mary Lou Williams Women In Jazz Award for lifetime service to jazz, the Charlie Parker Fellowship for Jazz Innovation and the International Women in Jazz Jazz Masters Award. Bloom is the first musician ever commissioned by the NASA Art Program and was honored to have an asteroid named in her honor by the International Astronomical Union (asteroid 6083janeirabloom). 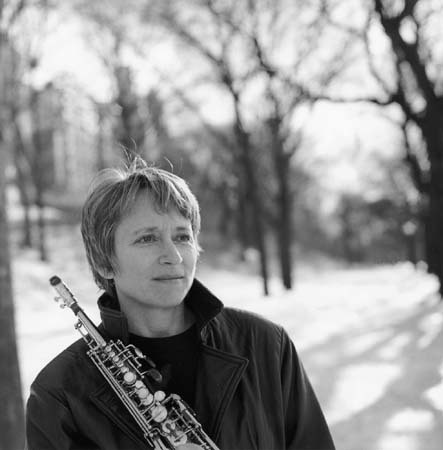 She's garnered numerous awards for her creativity including a Guggenheim Fellowship in music composition and a residency at the Baryshnikov Arts Center. A new jazz festival in Brooklyn, NY featuring cutting edge woman artists was named in her honor (The Bloom Festival). A strong visual thinker and a cinematic stylist, Bloom's affinity for other art forms such as painting, film, theatre and dance has both enriched her music and brought her into contact with other innovative artists such as actors Vanessa Redgrave & Joanne Woodward, painter Dan Namingha, comic Lewis Black, cartoonist Jules Feiffer, and legendary dancer/ choreographer Carmen DeLavallade. She has composed for the American Composers Orchestra (NYC), the St. Luke's Chamber Ensemble, the Pilobolus, Paradigm, & Philadanco Dance Companies, TV movie features (Shadow of A Doubt/ NBC-TV), and film soundscores (John Sayles' Silver City) writing works for large ensemble involving her signature movement techniques. 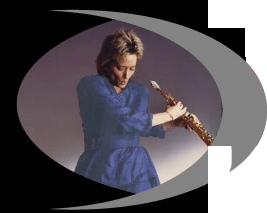 She has also collaborated with classical composers premiering new works for soprano saxophone ("Sinfonia" by Augusta Read Thomas). She has curated a discussion/ performance series on improvisation at the Philoctetes Center for the Multi-Disciplinary Study of Imagination in NYC, presenting a wide range of programs including collaborations with dancer/ choreographer Carmen deLavallade and bassist Rufus Reid (Moving & Playing: Jazz Improvisation & Dance), performances with pianist Fred Hersch and bassist Drew Gress (The Art of the Ballad), and panel discussions with neuroscientist Josh McDermott and Arabic music scholar Toufiq Ben Amor (Dancing on the Ceiling: Music and the Brain). Bloom is the recipient of three awards in jazz composition from the Chamber Music America / Doris Duke New Jazz Works Program for the creation of Chasing Paint, a series of compositions inspired by painter Jackson Pollock that premiered at the Museum of Fine Arts in Houston, Mental Weather, a suite of neuroscience inspired pieces, and recently Wild Lines, a jazz reimagining of Emily Dickinson's poetry that premiered at UMASS/ Amherst in the poet's hometown. The Philadelphia Music Project commissioned her premiere of Unexpected Light - a unique collaboration of improvised sound & light with world-renowned lighting designer James F. Ingalls. 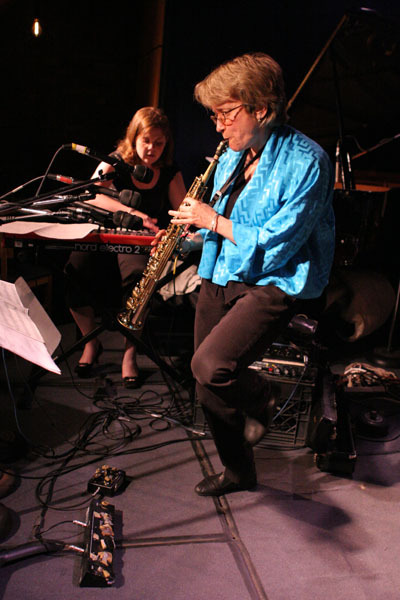 JIB has participated in several international and 'remote' events directed by bassist Mark Dresser and composer Sarah Weaver including a large ensemble performance at the United Nations that linked improvising musicians in Korea, China, New York, and San Diego. Bloom continues to find inspiration in creating exploratory music with improvising musicians from around the world. She has recorded and produced 17 albums of her music dating from 1977 to the present. In 1976 she founded her own record label & publishing company (Outline Music) and later recorded for ENJA, CBS, Arabesque, Pure Audio, and Artistshare Records. Bloom has been the subject of a number of media profiles; she has been featured on CBS TV's Sunday Morning, Talkin' Jazz on NBC-TV, TIME Magazine's Women: The Road Ahead special issue, in the publication Jazzwomen: Conversations w/ 21 Musicians, in the Library of Congress Women Who Dare calendar, in Life Magazine's "Living Jazz Legends," on NPR's Morning Edition, Jazzset, Live From the Kennedy Center w/ Dr. Billy Taylor, and in the documentary film Reed Royalty hosted by Branford Marsalis. She is a professor at the New School's College of the Performing Arts School of Jazz in NYC, holds degrees from Yale University and Yale School of Music and studied saxophone with woodwind virtuoso Joseph Viola. Nat Hentoff has called Bloom an artist "beyond category." Bill Milkowski has called her "A true jazz original...a restlessly creative spirit, and a modern day role model for any aspiring musician who dares to follow his or her own vision."